FSMA is widely regarded as the most path-breaking food safety act in modern U.S. history; its primary focus is finally tilted from response to prevention. This overriding shift in approach underlines the graveness of the situation and reaffirms the importance of food safety laws. 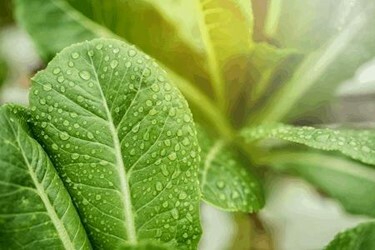 Food contamination has always been the foremost concern for food safety departments, and finally, after the implementation of FSMA, the FDA expects a reduction of about 20 percent in the overall number of foodborne illnesses stemming from produce, with more than a 60 percent reduction in illnesses from agricultural water. FDA recorded data highlights the importance of prevention at the supply chain. As per the CDC, more than 128,000 Americans are hospitalized from foodborne illnesses each year. Of those 128,000, almost 3,000 die from foodborne diseases. These figures are alarming and call for immediate attention and drastic measures. This data further demonstrates that nearly one in three deaths from foodborne diseases is the direct result of produce-related outbreaks, with every other outbreak associated with fresh produce commodities. The above-mentioned statistics clearly signify the importance of stopping contamination at the supply chain level. This directly impacted President Obama’s decision to sign FSMA into law and empowering the FDA to take precautionary measures, rather than responding to food safety events. For the first time, a set of guidelines is defined for safe agricultural practices. Separate rules are put into motion for farming, harvesting, packing, and storing fruits and vegetables. These rules been designed to govern changes in the existing agricultural hierarchy. FSMA’s Produce Safety Rule acts as a pivot for the industry, as all safety measures and guidelines are either derived from it, or are extensions of the rule, such as the Preventive Controls for Human Food Rule. (A full list of FSMA’s rules can be found here).